Beloved and missed dearly by the great many who knew her, Métis woman Elise Yanik was born in Fort Fitzgerald, AB in September 1917. Elsie was the sixth of eleven children born to parents Mary Flett and Henry Larocque. 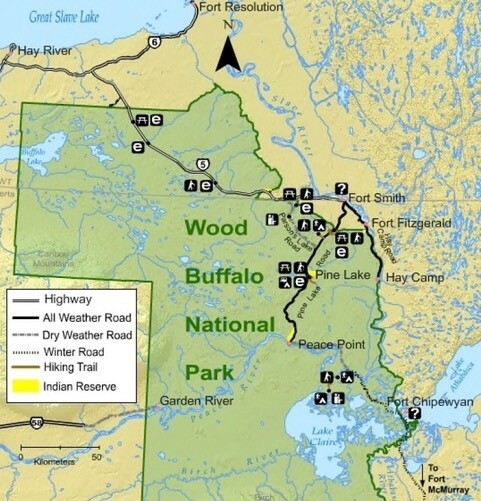 Fort Fitzgerald, AB is located along the banks of the Slave River, north of Fort Chipewyan and just south of the NWT border. Elsie describes work outside of the home for women in the early twentieth century as being limited to those activities associated with being a wife and mother. Girls were taught domestic duties from a young age. In Elsie’s case, she learned how to make bannock, sew, and knit and how to use these skills to make extra income for the family. Elsie’s mother, Mary, did laundry for the steamships that travelled up and down the northern rivers, including those travelling to Slave Lake. Such work involved hauling water and scrubbing by hand using a washboard. Elise’s dad, Henry, worked as a cook for the Northwest Mounted Police. When Elsie was about eight years old, her mother Mary had to travel down to Edmonton for surgery on her goiter (thyroid). 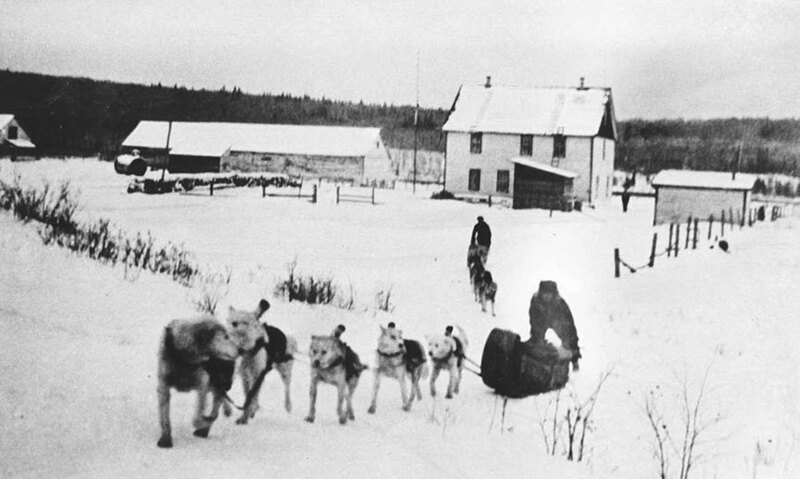 The journey involved a dog sleigh ride from Fort Fitzgerald through Fort Chipewyan, and then down to Fort McMurray. From there, Mary was put on the train and taken to the hospital in Edmonton. Sadly for the whole family, Mary did not wake up from the anesthesia and passed away as a result of her surgery. 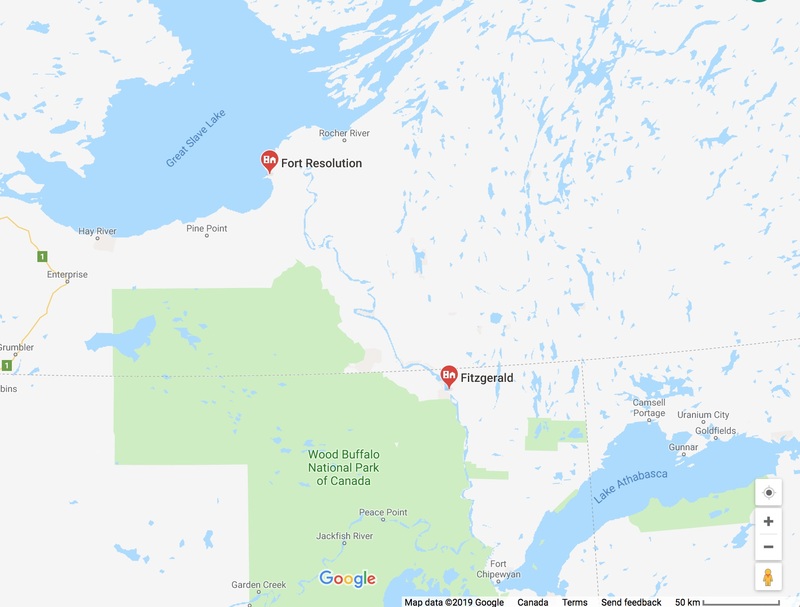 Following the loss of her mother, and because their father worked away from the family for long periods of time, the youngest children were all sent away to live in a convent in Fort Resolution, NWT. Elsie’s Dad and older sister Dorothy packed up Elsie, Stanley, Florence, and George for the journey to Fort Resolution, 300 kms away. For the baby, Joe, it was decided that he would go to live with a neighbour. The first leg of the journey took the kids to Fort Smith, NWT. 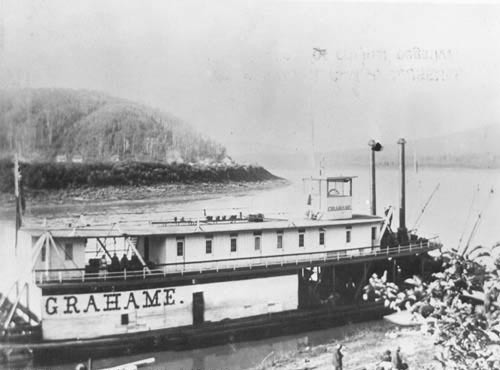 From there, they boarded a gas-powered boat to make the trip upriver to Fort Resolution. At 8 years old and the oldest, Elsie was responsible for herself and her three younger siblings, including two year old George. When they arrived at the convent after several days travel, the children were immediately separated; the girls to board with 50 other girls and the boys to board with 50 other boys. Elsie describes the time at the convent as being very regimented: children were awakened at five o’clock every morning, and went to church at six. “Everything we owned was numbered.” I was “Number 29, because I was one of the little ones. And so everything was numbered and we had soap, little bar of soap and we had a comb, a towel hanging….” Every morning when we were done washing everything it had to be placed back exactly in order by number or we would get in trouble. 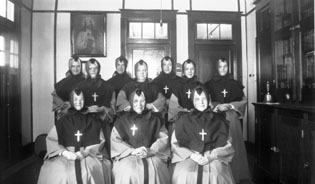 During their time at the convent, the children never returned home for visits to Fort Fitzgerald, and neither was their father able to make the trip up to see them at the convent. While they stayed, other children would go home for Christmas and even more left in the summer as it was easier to travel in the spring when the river opened up than it was in the winter months. As there home was very far away, Elsie and her siblings ended up being four of the ten or eleven children who stayed at the convent year-round. 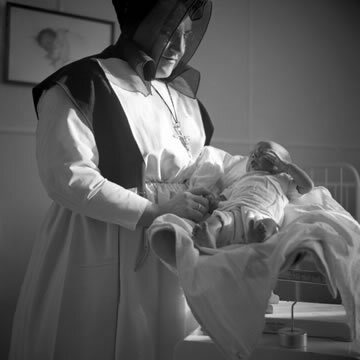 The Grey Nuns, a foundation of the Roman Catholic sisters originally founded in 17th C Montreal, were provisioners of medical care and schooling in Canada’s north. 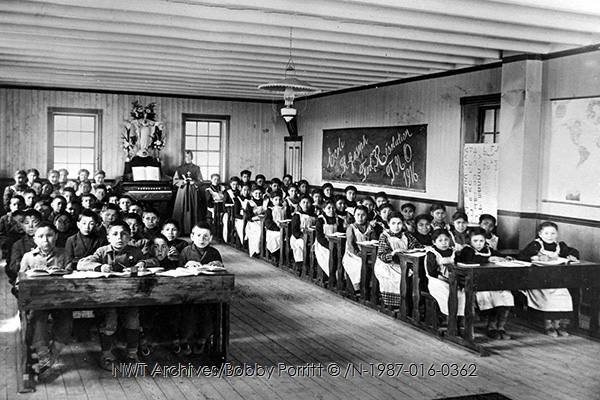 St. Joseph’s Mission in Fort Resolution was one of the largest mission schools in the NWT and eventually closed in 1957. “That was a good training in there, and then I had a meeting with my dad alone, he came to see me, and my dad said to me, ‘You know Elsie, I will never, never give you permission to be a nun. I don’t want you to be a nun,’ he said to me. ‘That is no life for you. Why do you want to be a nun?’ And I told him, you know, what I wanted to do with my life and he said, ‘Well, I’m not giving you permission. I’d rather you meet somebody, get married, have a nice family, have something to live for.’ He said, ‘You’ll have these kids someday.’ And he said, ‘That’s living,’ he said, ‘if you become a nun, you’ll never have that,’ he said, ‘and you will be always alone’”. Elsie decided about then to go to live with her aunt in Edmonton so she could finish her schooling. Elsie worked for a year in the General Hospital in Edmonton before moving back to Fort Fitzgerald. During the year that she had lived in Edmonton, she came to a decision not to pursue becoming a nun, in part to respect the wishes of her father who died in 1936 as a result of an accident. It was at a midnight mass in Fort Fitzgerald that Elsie would meet her future husband, Lawrence Yanik. Lawrence was the son of Czechoslovakian immigrant parents who were farming in the area. Within a year the couple was pregnant with their first child, a daughter they named Patricia. 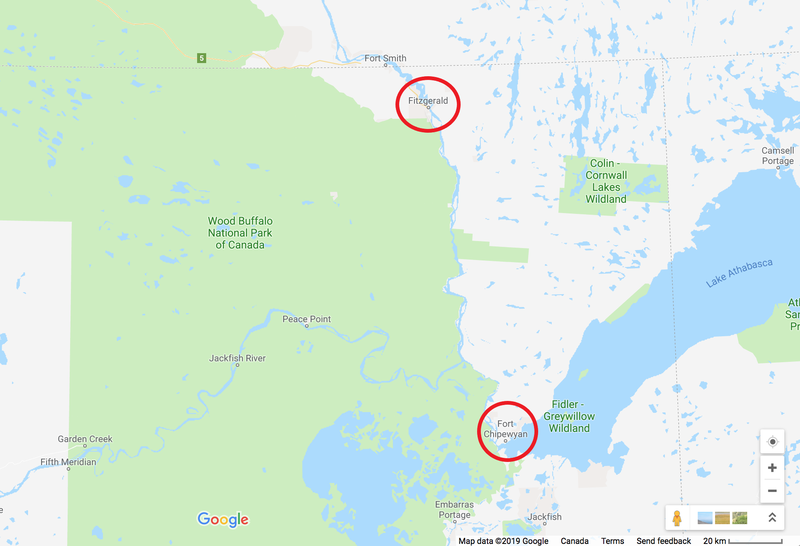 Elsie had the baby in Fort Fitzgerald and over the next five years, had more children while living in the Barren Lands (treeless zone east of Great Slave Lake). Elsie and her husband Lawrence decided to move back down to Fort Fitzgerald so the children could go to school. And after her father-in-law passed away, they took up residence at the Yanick family farm at Fort Fitzgerald. Elise and Lawrence would live in Fort Fitzgerald for the next forty decades. Lawrence worked in forestry for the Alberta government for twenty of those years. 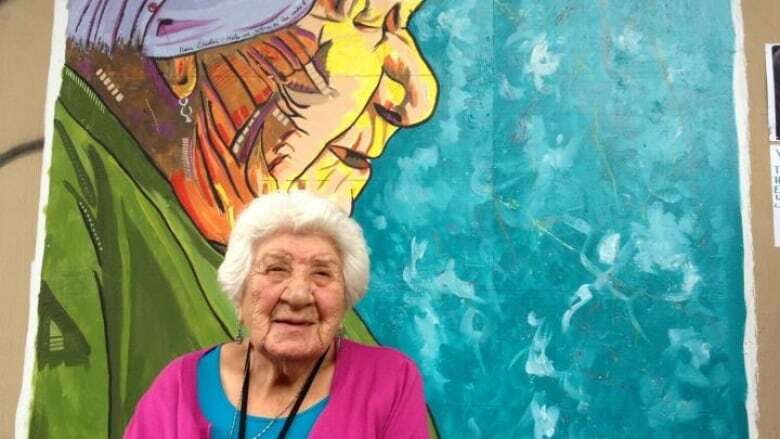 Upon becoming a widow in 2001, Elsie moved to Fort McMurray where over the next decade and a half she would become ever more famous. Elsie passed on to the spirit world in 2016 at the age of 99 years.